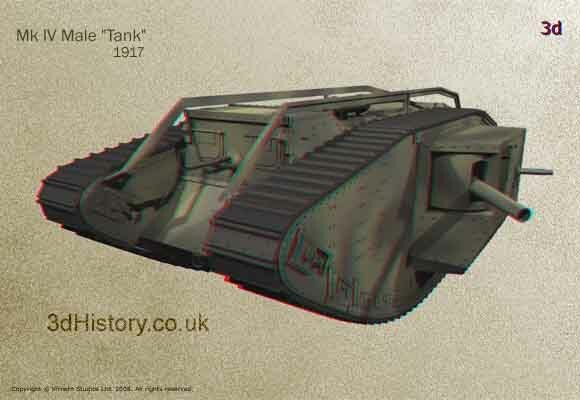 The Mk IV Male tank was a development of the first tank to be designed in an effort to overcome the stalemate of trench warfare during World War One. 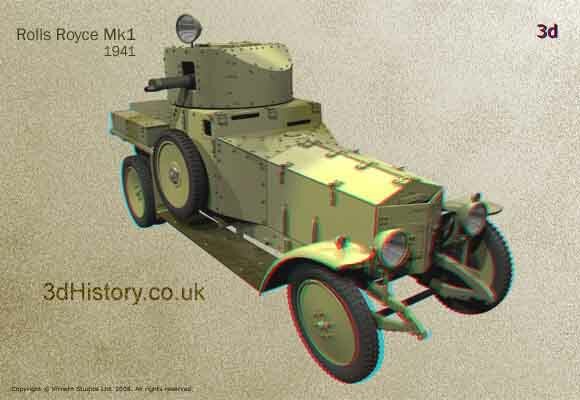 In addition to the male version, which carried a pair 6 pdr guns mounted in sponsons on the side of the vehicle, there was also a female version that carried machine guns in smaller sponsons. They were reasonably successful in their designated roles but were a nightmare for the crew inside them; noise, vibration, exhaust gasses and exposed hot pipes made them extremely dangerous to operate. The Rolls Royce armoured car was based around the Rolls Royce Silver Ghost chassis. The superstructure comprised of an armoured body topped by a fully rotating turret that housed a single water cooled Vickers Machine Gun. The type was used between 1914 and 1941 being modified several times over the years.. 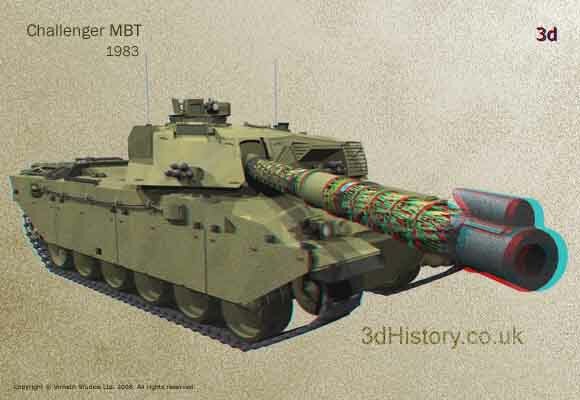 The Challenger tank is a development of the Chieftain tank with highly advanced Chobam armour. The Challenger mounts a 120mm main gun and carries 49 rounds of mixed High Explosive, Armoured Piercing and Phosphorous. The Challenger MBT is driven by a 26.6 liter 12 cylinder diesel engine that delivers 890 Kw (1,200 hp), giving it a maximum speed of 40 kph (25mph) across country and 60 kph (37 mph) on the road. 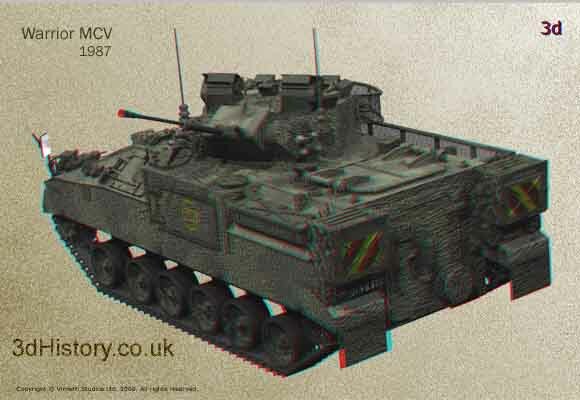 The Warrior MCV is an armoured personnel carrier that can carry and support up to seven infantry men into combat. The Warrior has an additional crew of three are the driver, the gunner and the commander. Capable of 74 kph (46 mph). the Warrior is capable of keeping up with the Challenger Main Battle Tank over rough terrain. The Warrior has a 30mm canon that is capable of destroying other APC's on the battlefield.